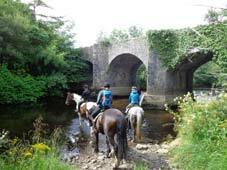 Are you looking for a riding companion to do one of the Horse Holiday Farm Trails? 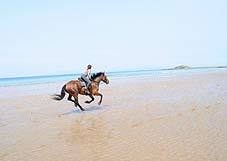 If you like to come alone to the Horse Holiday Farm you are very welcome, the Riding by the Sea programme is the right one for you, where you can gallop on the endless beaches, do the various trails in the area and the cross country jumping, in a group and with or without a guide. We are offering wonderful self led trails but it is not advisable to go alone, we prefer it if you are a minimum of 2 people, however, if a trail is really what you would like to do we are offering you, with our help, the possibility to find a suitable companion whom you could get to know before you travel. Which trail you want to ride? Would you like a female or male companion rider, or does it matter? Do you agree to have your email address published on our website? Do you have any ideas as to how we could improve our website to help find riding companions?